Omnibus is in stores tomorrow! THE OMNIBUS IS OUT IN STORES! 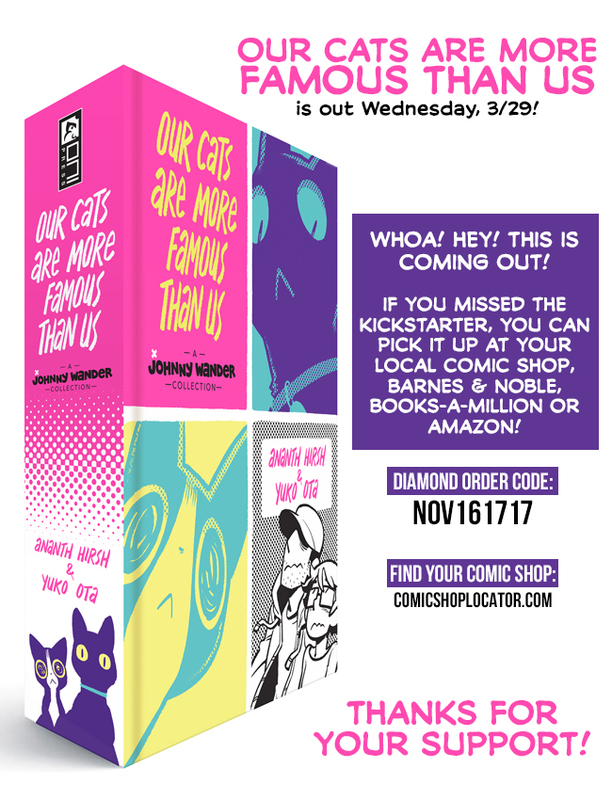 If you missed the Kickstarter, you can pick it up in stores this Wednesday (that's tomorrow)! Use findacomicshop.com or comicshoplocator.com to find your local comic book shop. It's available for pre-order at Amazon, Barnes & Noble, and Books-A-Million, on sale April 11. And we've gotten some nice coverage! And here are some nice quotes and things that people have said about the book! I think that covers it! Thanks so much!